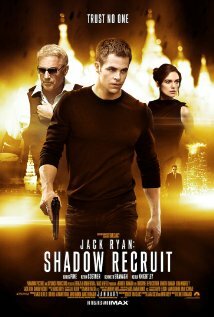 Plot: Ex-marine, post-convalescent, Chris Pine joins the CIA and is promptly embedded at a Wall-Street firm as a compliance officer, whose real mission is to detect potential threats to national security. Conveniently enough the Russians decide to take a shot at things on his watch. Pros: It’s like organic dog food. It still smells bad, but it’s organic. Cons: How the mighty have fallen! While Branagh doesn’t fail as miserably at being Russian as Vincent Cassel did, the whole oeuvre is still pretty painful to watch.